Over the past month or so, businesses have witnessed Google’s well-known Trusted Stores program disappear while another program, Verified Customer Reviews, has seemingly taken its place. Google has always allowed for people to share their points of view about almost anything, from online purchases to in-store purchases and customer service reviews. The problem is that these reviews could be written by anyone and not necessarily by someone who actually invested in the product. While these “free for all” reviews are not being removed, Google has decided to introduce a more reliable feedback system known as Verified Customer Reviews. 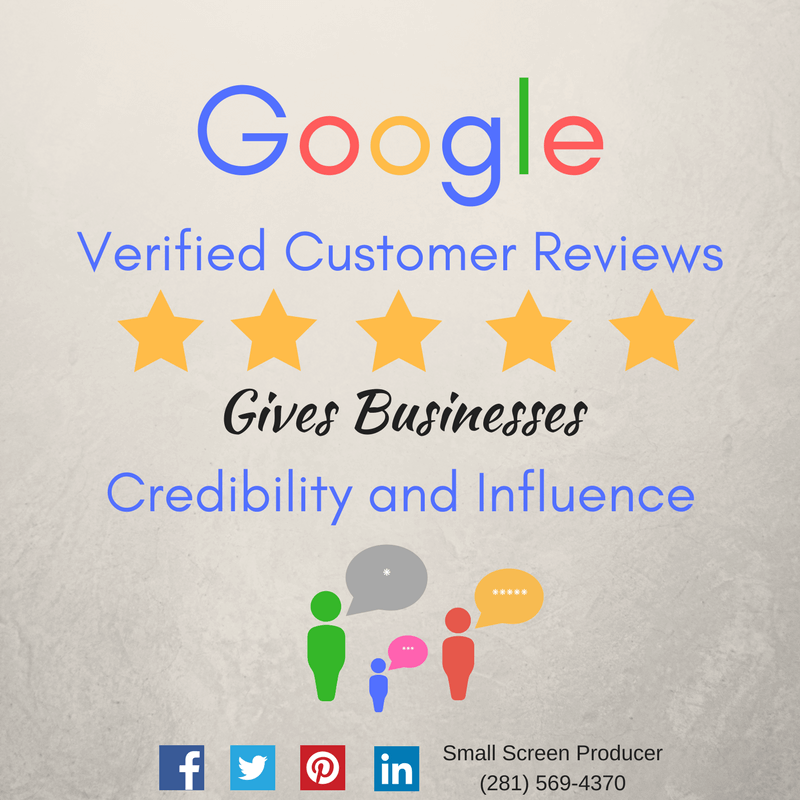 What Is a Google Verified Customer Review? A Verified Customer Review is one where Google can confirm that a customer did buy that particular item which they are writing a review for. The only drawback is that in order for Google to confirm the purchase, the purchase must be made online, which means the merchant must have an online store. After a customer makes a purchase online, Google will send out an email with a link requesting that they write a review. Merchants can also follow up with that same link in their own email and ask that their customers help them grow their local/family-owned/grass-roots business (customers love to support small businesses! ), or you can give them a phone call and offer an incentive (i.e. free shipping, a promo code for a discount off their next purchase, etc.). Trustworthy customer reviews can have a significant influence on a consumer’s shopping decisions. Verified customer reviews are “social proof” as to whether or not a product is worth buying. People are skeptical when it comes to random reviews on the web. The verification process adds credibility and accuracy to your product and to your brand. Whether a review is positive or negative, brands can focus on verified reviews first and foremost as they know that these are individuals who have purchased and used their product. You can learn a lot about where your product or brand is excelling and where you can make improvements. Google’s Verified Customer Reviews are successfully addressing the “credibility gap” of online reviews. Now it is time for brands to uncover the opportunities available to leverage these reviews in order to better influence the purchase decisions of your customers. Contact Small Screen Producer today to learn more about how we can help build your online presence and help maintain a positive brand reputation for your business.